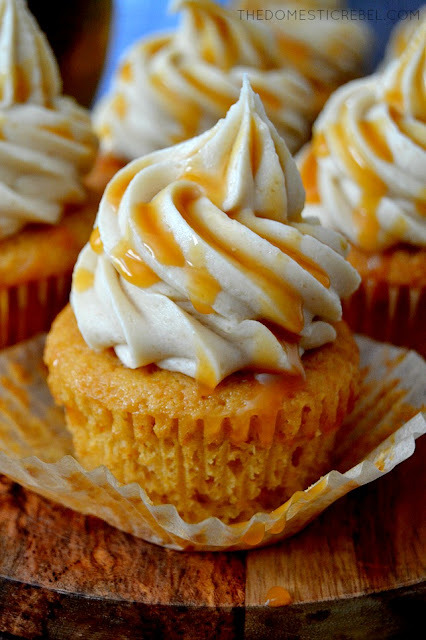 These Butterbeer Cupcakes are seriously some of the BEST cupcakes I've EVER had. 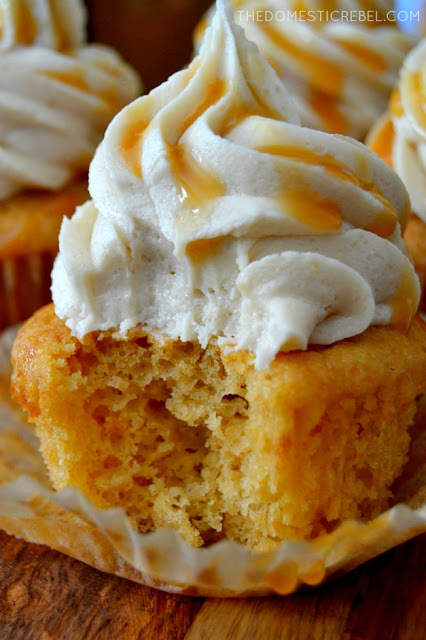 Buttery, brown sugary, vanilla-flavored and oh so fabulous, they're topped with a butterscotch & brown sugar frosting that's to-die for! Heat up olive oil in a pan over medium heat and add in garlic. Sauté for a minute or two until lightly golden. Add in zoodles and cook until lightly softened (but not fully overcooked), 2 to 3 minutes. Transfer to a colander and allow to drain while you prepare the sauce. Remove any liquid from the pan. Heat up a touch more olive oil in the pan. Add marinara sauce and mix-in mascarpone cheese, seasoning to taste. Add back in the zoodles and mix around to coat.